KELOWNA, B.C. – April 2nd, 2019. 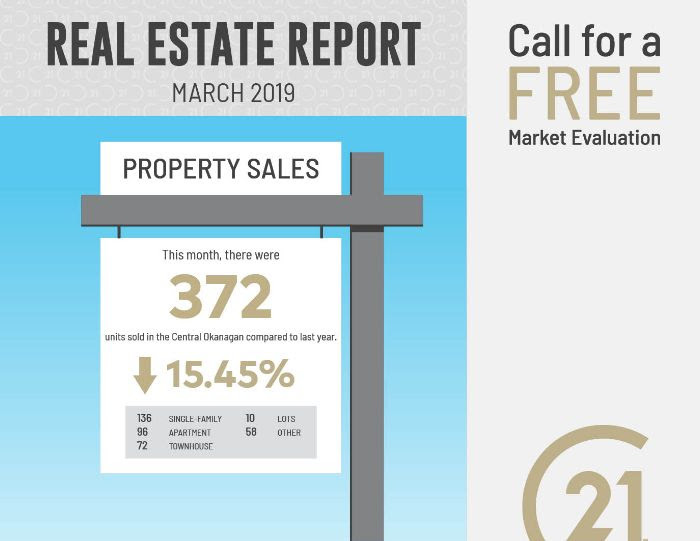 “Interestingly, average days on market, a gauge of how long it takes for homes to sell, rose to 92 days from February’s 88 days and last March’s 79 days, comments OMREB President Marv Beer. 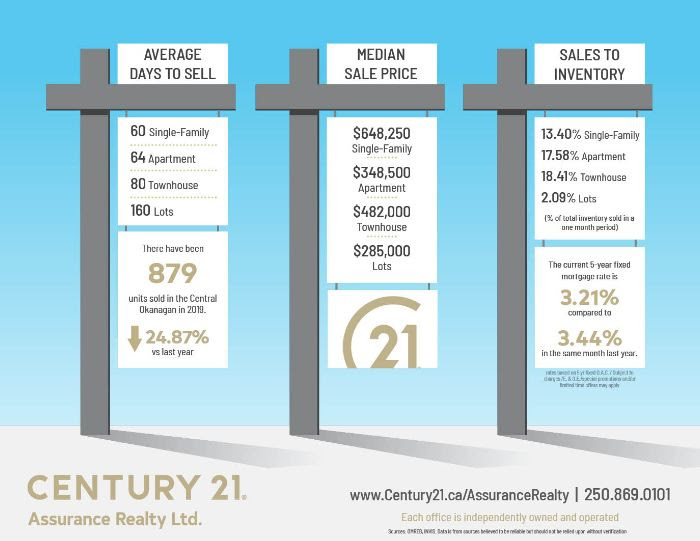 “Usually, when activity increases we see the average days indicator shorten, yet here we’re seeing the opposite.” Also of note and despite a 44% increase in new listings over the previous month, the supply of homes for sale decreased 12% over February’s inventory. Those hoping to upgrade, which could free up an affordable home for sale, may find their own difficulties. Prospective purchasers may be chased away by stricter mortgage rules under which they no longer qualify. Even if buyers can be found, starter homeowners may be challenged to find an upgrade they can now afford, as they face the same challenges (harder mortgage qualifying rules; higher interest rates; competition for scarce suitable homes) as their prospective buyers. The seller of the affordable home may opt to stay put and no starter home opens up to a first-time buyer. “At the end of the day, the answer likely lies in governments doing things differently and its likely a basket of actions to fuel the creation of a spectrum of affordable housing to accommodate a range of population requirements,” says Beer. If you have questions about the market, we'd love to meet for coffee and a chat!